Magnus is a classic scandinavian seatrout fly, here tied in a rusty version with brown/rusty colors in the hackle and the tail. 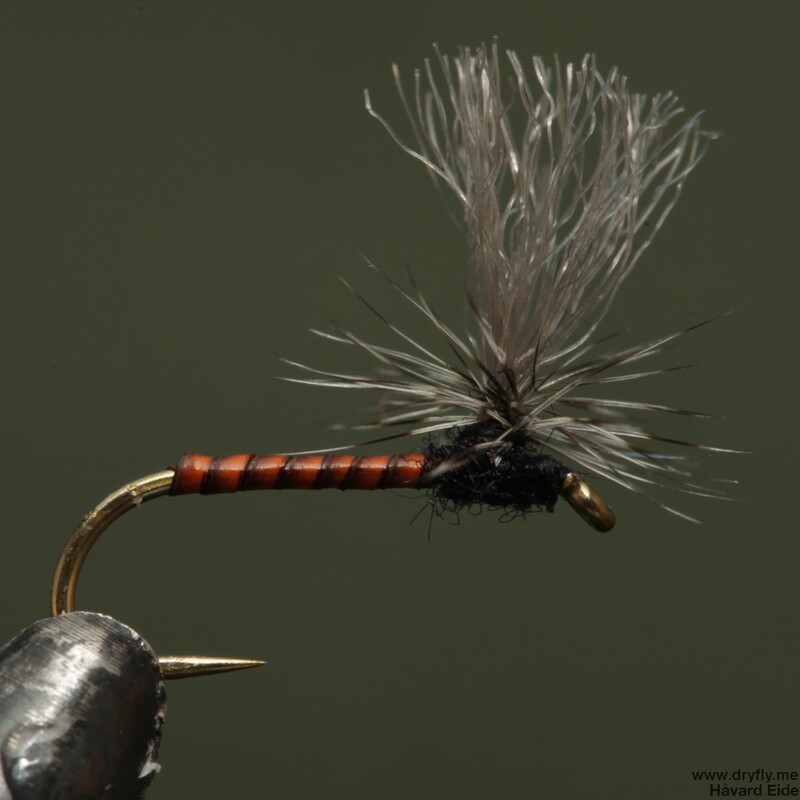 This is a very durable fly: the hackle is secured with a copper rib and the head is finished with superglue, then Bug Bond to create the head around the bead eyes. It can be weighted down with some led, but these have no additional weight as I want to fish them in shallow waters and slowly. 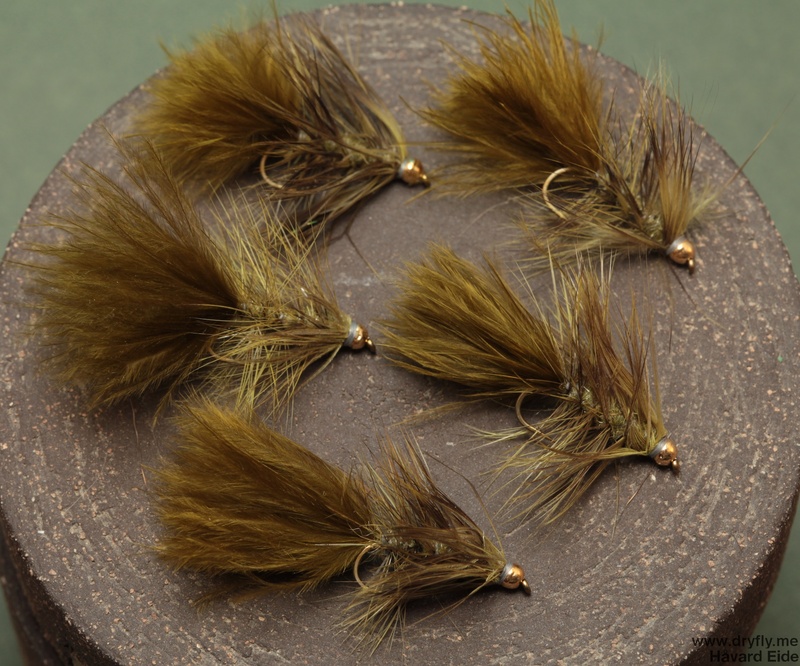 Inspiration came from the “Flugfiske i Norden” (Flyfishing in the nordics) magazine that have a great article on hackle flies for seatrout in the latest edition. 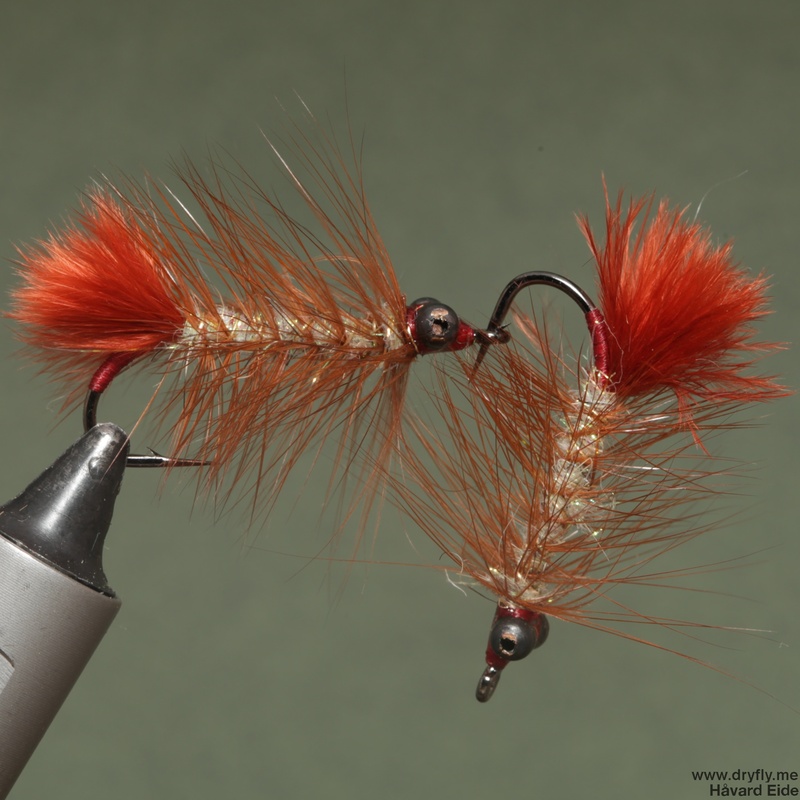 Yes, I’m on a seatrout tying mission these days, and today was a variation of the lipstick shrimp from Eivind Berulfsen. I basicly didn’t have any of the materials he lists, but the technique is what’s important: to learn the layering and idea behind it, how things fit together. After that you can start looking at what material you have or can get a hold of that will behave close to the original as possible. I think the goat in the mouth will create that long translucent effect, and the combinations I put together for the body should give a very nice effect when it is wet and flowing through water. I will, of course, have to try this out, but that is for next week since I have plans this week that stops me from going out fishing, but until then I will tie up a couple more of this to bring with me. 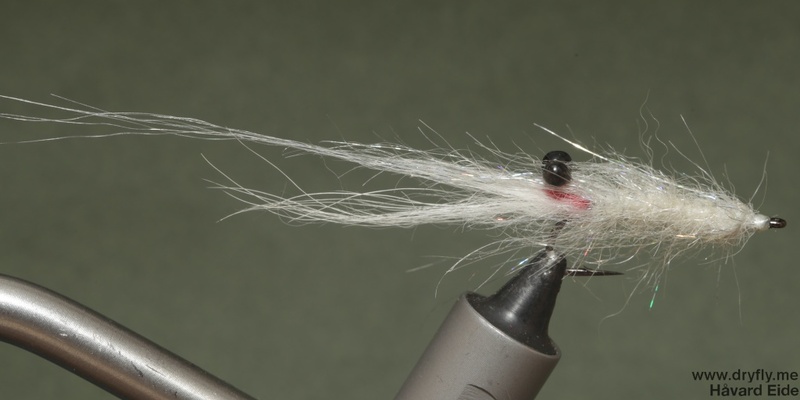 I tend to tie up a lot of flies with a lot of material to make them more vibrant and visible. Trying to tie up some leaner flies and this one should be a good addition to my BL box. 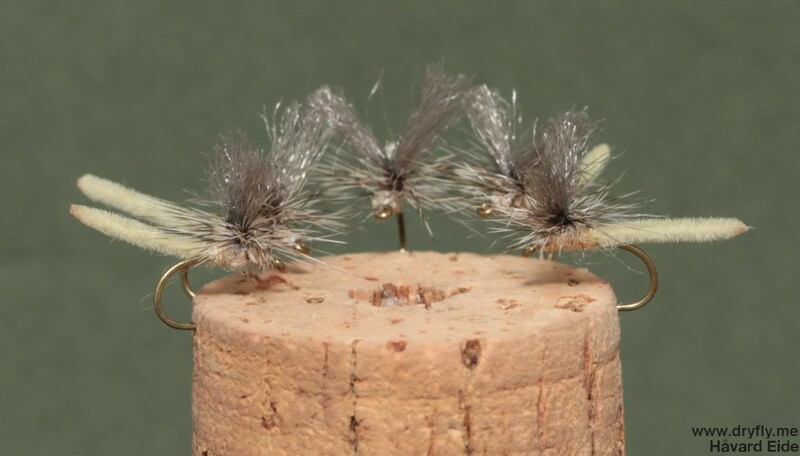 Wooly buggers are a must to have in the box – the marabou and body hackle on this pattern gives it a lot of life that should trigger a hungry trout.